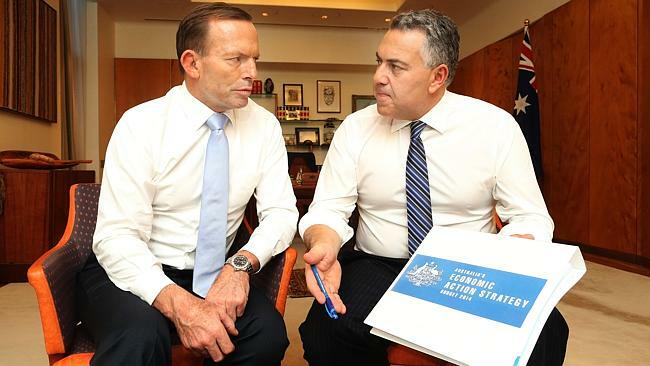 On Tuesday, the Abbott government delivered their much anticipated budget, putting an end to the age of ‘reckless spending’ and ‘entitlement’ and saving Australia from its path to economic destruction. There were some winners. The mining industry was generally happy with budget, finally rid of that pesky stamp duty and useless environmental regulations. They even got to keep their much needed tax breaks and fuel subsidies, because paying tax can really eat into their billions of dollars of profits which is no good. White Australia lovers also won big, with hundreds of millions of tax dollars committed to defending our borders, keeping those menacing asylum seekers from clogging up the highways of Western Sydney. However, the budget delivered little good news for the young, poor, homeless, unemployed, disabled, indigenous, sick, refugees… pretty much everyone else. Nor was it kind to the environment sector. This was expected, with the budget reflecting the Abbott government’s relentless attack on science and the environment, raising legitimate concerns for the health of our most precious ecosystems. Amongst the environmental agencies abolished were the Australian Renewable Energy Agency (ARENA) and the National Water Commission. ARENA was created in July 2012 to support and boost clean energy production. Legislation will now be introduced to dissolve it as an independent agency. Many more agencies have had their funding slashed including carbon capture and storage programs, Landcare and the CSIRO. The government’s $500 million plan for ‘One Million Solar Roofs’ was dumped. Any action on climate change is going to be rolled out even more slowly than expected. Luckily, the world doesn’t need urgent action to avoid climate disaster. Oh, wait… And with the abolition of the carbon tax, the cost of emissions reduction is being shifted from big polluters to the taxpayer. Nice one. The Great Barrier Reef will receive the $40 million promised in the election. It will be invested in a new reef trust which will guide the management of the reef. Together with the QLD Government and the Great Barrier Reef Marine Park Authority, the reef trust will implement the government’s Reef 2050 plan. With the QLD Government being advised by the coal industry and the GBRMPA granting approval for industry to dump dredge spoil in reef waters, I am 100% content that our reef is in good hands. In fact, the water will probably be in better nick than it was before mass industrialisation. A small grant fund, a tiny but crucial $1.3 million program which supports over 150 enviro groups, was axed. There was no warning about the cuts, which have left some small conservation groups facing closure. “In effect, the cut undermines the effectiveness of grassroots, community-based conservation groups to engage with people where they live and to work with local councils and state governments.” These groups are being silenced. Most overwhelming is the 16,000 public service jobs expected to be axed following this budget. The devastating losses flagged for environmental staff have left many wondering how the government expects it will effectively enforce environmental regulations. With less resources to monitor industry, ensure compliance, report infringements and to punish offenders, it will be extremely difficult to keep the self-serving resources industry in check. Numerous large scale mining projects have been approved by the government in the last six months. It’s imperative that these dirty industries are rigorously scrutinised given their history of negligence and ecological damage. A Repeat of the Gladstone Disaster? Without adequate staffing and resources, experts are concerned that we are leaving Australia open to another Gladstone type ecological disaster. The Gladstone community has demanded answers ever since an outbreak of dead and diseased fish, dugongs and turtles occurred following industrial dredging in the harbour. Greg Hunt commissioned an independent review into Gladstone, which was released last Friday. It exposed extensive negligence, and contained a series of recommendations to ensure that the disaster is never repeated in Australia. We all knew it would be a tough budget, but the cuts have been extreme. The government continues its war on the environment, but with every crooked decision they make or dodgy deal they sign, more and more Australians are galvanised into action.